Come train with us in the Japanese martial art of Aikido at our new dojo in Sugarhouse. Summit Aikikai in Salt Lake City is a training community dedicated to martial arts, and are committed to supporting, encouraging and inspiring each other. We welcome all interested persons who show maturity, respect for the training community and commitment to regular training sessions. Training is conducted rigorously and safely. Through our training, we grow, strengthen, and transform ourselves and the world around us. 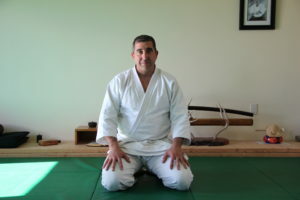 Discover what authentic Aikido training can do for you and your family. If you have questions or would like more information, call us at 305-761-0428 and we’ll be happy to answer your questions and schedule your first appointment! Call us at 305-761-0428 today!